Bill Cox, age 58 of Hwy. 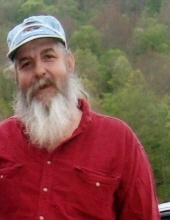 25W South Williamsburg, Ky., passed away Friday July 20, 2018 at his home. He was born September 9, 1959 in Cincinnati, Ohio to the late Bobby Hugh and Shirley Davis Cox. He is survived by 1 son; Taz Cox (Sylvia Danielle Baker) of Crab Orchard, Ky., 1 grandson; Jaxon Taz Cox of Crab Orchard, Ky., 1 sister; Joyce Veach (Kenneth) of Jellico, Tennessee, 3 step-sisters; Paula Robinson of Clinton, Tennessee, Joan Keller of Williamsburg, Ky., Sandra Bowman of Williamsburg, Ky., 4 aunts; Micheal Hamblin of Enon, Ohio, Leona Stewart (Joe) of Clinton, Tennessee, Pauline Cox of Williamsburg, Ky., Eula Croley (Rick) of Williamsburg, Ky.,5 uncles; Harry Cox (Barbara) of Emlyn, Ky., Clifford Cox (Wilma) of Williamsburg, Ky., Joe Davis of Williamsburg, Ky., James Davis of Williamsburg, Ky., Ace Davis of Williamsburg, Ky., sister-in-law; Connie Cox of Ohio, several nieces, nephews and a host of relatives and friends to mourn his passing. Graveside service will be 11:00 am Tuesday July 24, 2018 at Wolf Creek Cemetery with Rev. Chuck Evans officiating. Interment will be in Wolf Creek Cemetery. Visitation will be 7:00 until 9:00 pm Monday July 23, 2018 at the funeral home. Pallbearers will be Taz Cox, Josh Cox, Jo Jo Cox, Andrew Blankenship, Adam Petrey and Walker Lee Cox. To send flowers or a remembrance gift to the family of Bill Cox, please visit our Tribute Store. "Email Address" would like to share the life celebration of Bill Cox. Click on the "link" to go to share a favorite memory or leave a condolence message for the family.